Huey W. Jones passed away on April 1,2019 at the age of 58 after a long battle with health issues. He was born in Burlington, WI on December 12, 1960. He was the son of the late Thomas and Margaret Jones. Huey spent his early years in Burlington, WI and he graduated from Burlington High School in 1978. He loved participating on the wrestling and football team. After high school he was a union painter. He also lived in Baja California Sur, Mexico. He enjoyed years of fishing there and he always had a fish tale to share. 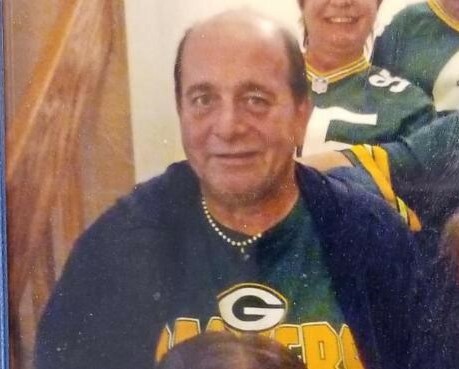 He loved his Green Bay Packers, cooking, reading, and wood working. He loved all animals and greatly appreciated nature. Huey is survived by his loving daughter Emily Jarvis and his siblings Bonnie (Harvey) Schultz, Donald (Barbara) Jones, Kathleen (Richard) Blankman, Tommy (Holly) Jones, Lanalee (Steven) Morgan, Lola (Steve) Saunders, and Patty Jones. He is further survived by many nieces, nephews, and his best friend Karen Johnson. Huey was preceded in death by his parents and brothers David, John, and Jerry Jones. A celebration of Huey’s life will take place on Thursday April 4th, 2019 at Integrity Celebration Center (2789 S. Browns Lake Drive Burlington, WI 53105; the corner of Hwy 36 and County Hwy W.) Visitation will be from 4:30pm to 6:15pm, followed by a 6:30pm memorial services; officiated by Pastor Kristie from Norway Lutheran Church. Please feel free to wear Green Bay Packer attire in honor of Huey .